The red carpet setup may not have been up to Hollywood or Cannes standards, but never the less reading from the smiles on the faces of the nominees for this year’s Uganda Film Festival who graced the opening ceremony on Monday, the dreams are the same all over the world. 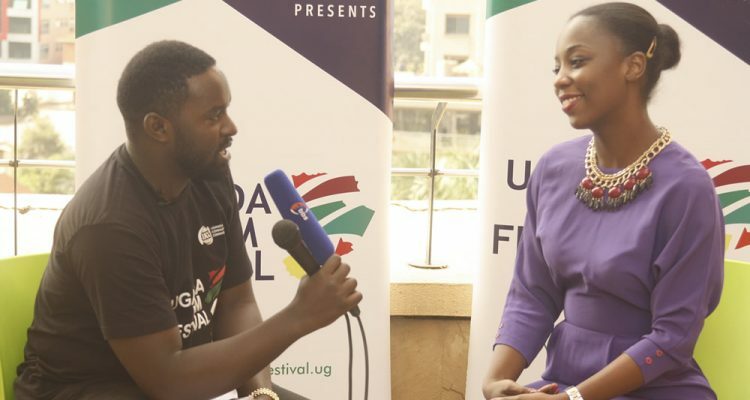 And with Uganda Communications Commission organizing the sixth edition of the film festival, a few of the local talents will be able to realize their dreams as they will walk away with accolades come awards gala day on Friday. However, this will not come easy as only the crème de la crème of this year’s films were selected to compete in the different categories. Only 33 out of the 66 feature film submissions made the cut this year. The individual accolades are also highly competitive as top talents are up against each other with veterans such as Matt Bish facing off with some of the young blood he has mentored over the years. His feature film Bella is for instance up against Rehema Nanfuka’s Veronica’s Wish which has received a total of 13 nominations including for Best Actress for its outstanding lead Nisha Kalema. And to spice things up this year, UCC has introduced a new category – The Viewer’s Choice Award – which will be decided by the public. And the good news is that most of the nominees are confident of walking away with their respective gongs. “I am 120% sure of winning,” said an elated first-timer and new entrant Malaika Nnyanzi, nominee for Best Supporting Actress award for her outing in Veronica’s Wish. The festival’s official opening ceremony kicked off in earnest on Monday with a nominees’ media forum moderated by Film Curator Polly Kamukama where some of the top local directors and writers shared their stories. By 6:30pm Century Cinemax at Acacia Mall was transformed into a classy red-carpet affair as the smartly dressed VIPs and nominees were ushered in for a cocktail hosted by UCC Executive Director Eng. Godfrey Mutabazi who reiterated government’s commitment to the development of the local film sector. Quoting a research done by Times Magazine, he told the guests that the film industry is a multi-billion industry that is going to employ many people in the near future especially with full government support. “The fact that this industry is built from the heart and developed with passion makes it a powerful one which can only thrive. Look at the Nigerian film industry; it has grown into a big multi-billion industry. Why can’t we emulate that? He queried. After declaring the festival open, the guests including guest of honour Mr. Wim Vanhelleputte, CEO MTN Uganda, were treated to a sumptuous meal and then ushered into the cinema for the screening of the first feature movie Veronica’s Wish. The UFF 2018 continues until Friday. Free screenings and other exciting activities are happening every day at Century Cinemax, Cinema Magic, Cinemax Cinema and NuMax Cinema, all open to the public at no cost.